Blast Off With Astronaut Costume Ideas for Kids! 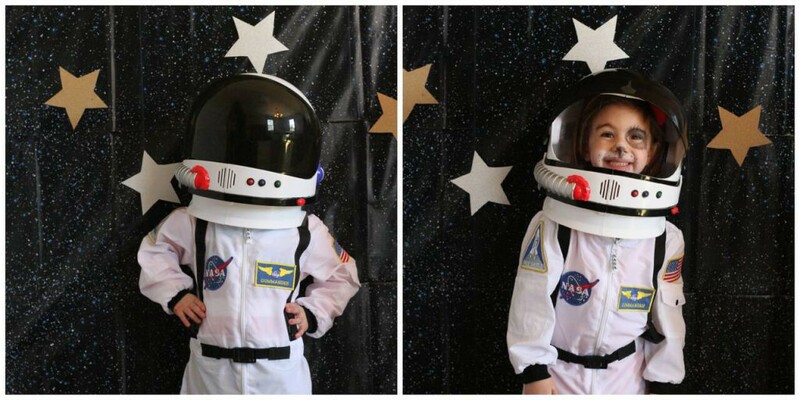 Home » Dress Up & Pretend Play » Blast Off With Astronaut Costume Ideas for Kids! Normally, the sky’s the limit when it comes to a child’s imagination and dress-up, but we’re going above and beyond the sky this time! With Star Wars and Star Wars costumes for kids once again at the top of their popularity, we thought it would be fun to look at some more realistic space-themed costumes, too. After all, lots of children think about being astronauts when they grow up, and dressing up in costume is one way to make dreams like that come true. So, we’ve come up with a few astronaut costume ideas for kids that are sure to satisfy any child’s sense of adventure. We’ve also included a couple more characters and creatures that might be out there in outer space, so keep on reading to learn more. Playing dress-up is all about pretending to be something else for a day, which is why we’ve searched the stars for the most authentic-looking astronaut costumes anywhere. All sorts of belts, patches, and straps make this official NASA astronaut costume look just like a real flight suit. Other astronaut costumes have tons of detail, too. This space shuttle commander costume comes with unique-looking patches, along with a white cap to complete the look. There’s also an orange version of this astronaut jumpsuit, inspired by the color of the uniforms that real astronauts wear. We can’t leave the little ones out! “Roger the Rocket Ship” is an adorable, cuddly, and warm knit baby bunting, complete with a matching hat. Just like the astronaut costumes for the bigger kids, this baby astronaut costume has plenty of true-to-life NASA details, but in a single-piece onesie style. Toddlers can dress up with this look as well. Pair these looks with matching costumes for mom and dad, for a super-cute family costume combination. With the right accessories, any outfit can become a suitable spacesuit for your child in no time at all. Using astronaut costume accessories is an especially great idea if your son or daughter is having a space-themed birthday party, because all of the guests can take turns dressing up with different items. This makes for some excellent (and adorable) photo opportunities, and is a little bit easier to handle than changing in and out of different costumes all day. For example, this astronaut dress-up set comes with a white astronaut jumpsuit, but it’s also packed full of other goodies. Official NASA astronaut gloves and boots can create an instant astronaut out of any ensemble, and this talking space helmet looks just like the real thing, too. Then, there are things like this ultra-cool astronaut jet pack. Is it a futuristic sci-fi weapon for zapping aliens and blasting away other dangers? Or, maybe it’s a vital piece of equipment used for repairing welds on the outside of the space station. Either way, it’s a backpack water gun, which is really cool. Also, every astronaut needs a ship. How about an inflatable space shuttle? It might not make it all the way to the moon, but it will fare just fine running around the backyard with your little explorer. We may never know whether or not extraterrestrial beings really exist, but alien costumes definitely bring an otherworldly angle to dress-up and imaginative play. Is “astronauts and aliens” the new “cops and robbers”? The only way to find out is to dress up and play! This alien Morphsuit is just like the classic green alien design that everyone knows and loves. Like all Morphsuit costumes, it’s one piece of breathable and flexible fabric that zips up the back. Meanwhile, this alien costume is simply a molded rubber mask and a robe. For the little ones, this plush alien costume is every bit as snuggly as it is sci-fi inspired. Paired with matching green leggings and shoes, it’s definitely the most adorable alien look of the bunch. As we mentioned earlier, astronauts and outer space can make a great birthday party theme, and blogger Courtney Byrne used dress-up and costumes as part of her child’s party over on the Birthday Express Blog. Click here to see her space and astronaut themed birthday party ideas – there are food ideas, activity ideas, and more. Then, to shop space party supplies, be sure to check out the Space Blast party theme on Birthday Express. Learn more about Careers and Occupations Dress-Up on the Costume Express Blog. Shop Astronaut Costumes for Kids on Costume Express. Woo, I love the toodles.